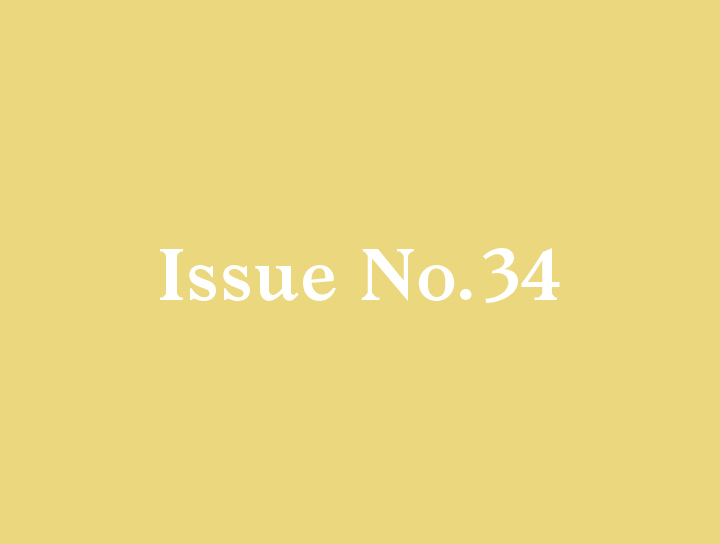 Chef Brandon Kida, native son of the vibrant and patchwork food scene which is Southern California, came up in the industry zigzagging between the coasts. He started out at the Culinary Institute in New York, and then did a stint at the Blenheim Hill Farm Upstate, where “farm-to-table” is something of a mantra. He imbibed the essence of Blenheim’s culture and built on that ethos at a series of kitchens on the east and west coasts, climbing the ranks before finally coming home to LA to take the helm at Hinoki & the Bird, what has become one of the few truly great Century City restaurants. Crawling at a snail’s pace along Hollywood Boulevard, I’m running a bit late for my appointment with Brandon, but I’m eager to meet him and experience his unique take on California cuisine with an Asian tinge. The name is intriguing. 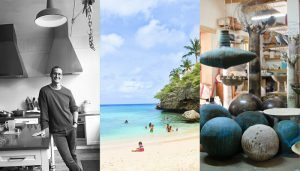 Is it a fable or does it allude to more structural elements of the place or cuisine? Taken literally, a “Hinoki” is a tall, slow-growing tree, similar to a cypress, that’s native to the island of Japan. And, as they do in many cultures, birds do figure prominently in the lore of Japan. In the most general sense, avian creatures symbolize the human spirit. But the meaning of the name is not spelled out, and I think it is better that way. It forces a personal interpretation for each guest. 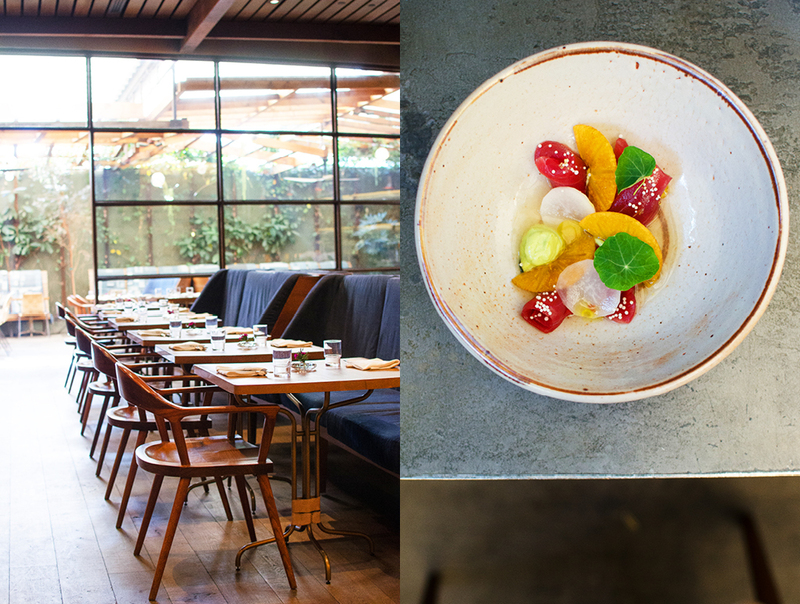 There are obvious connections in food and environment at Hinoki & the Bird as if chefs and designers always have the name in the back of their mind as they toil. 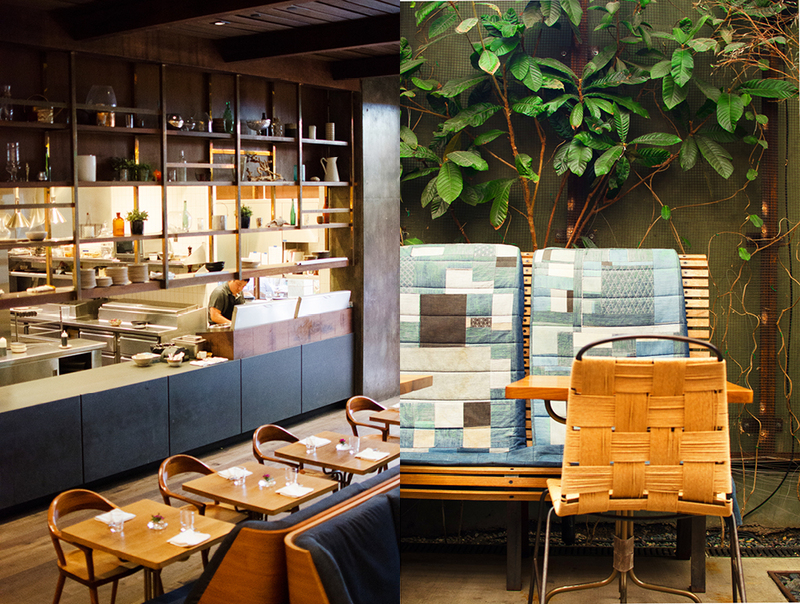 There is a definite “woodsy” feel to the place that is comforting, fresh, and a clear break from the relatively dull LA cityscape of Century City just outside. 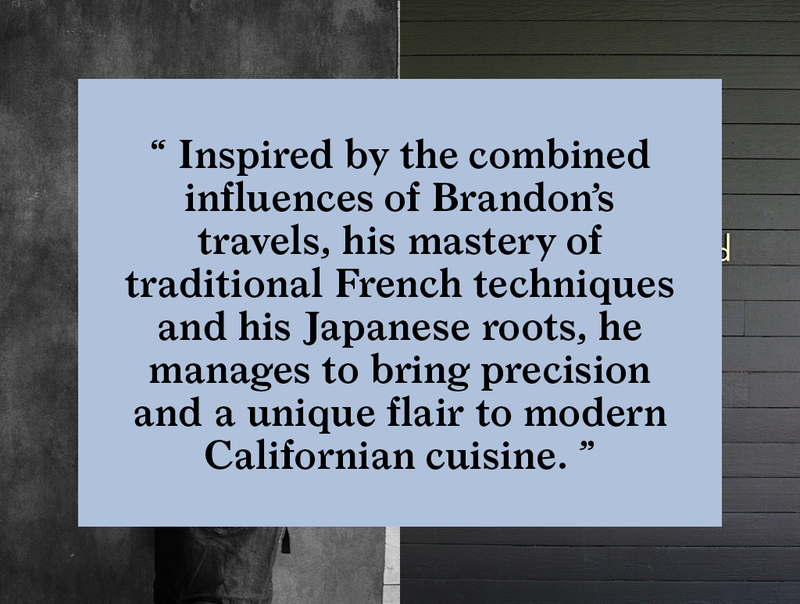 Inspired by the combined influences of Brandon’s travels, his mastery of traditional French techniques and his Japanese roots, he manages to bring precision and a unique flair to modern Californian cuisine. 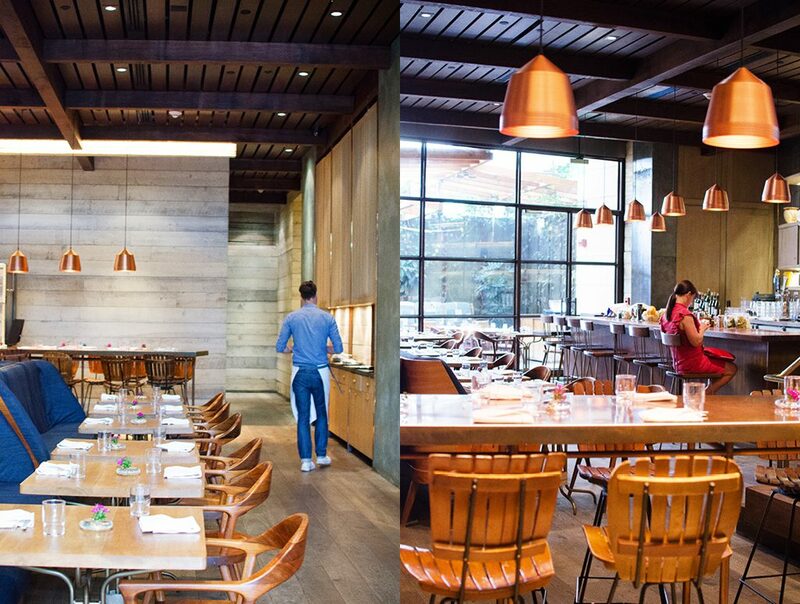 The recycled wood floors, handcrafted copper details, and the open kitchen bring warmth and an emphasis on food to the dining room. 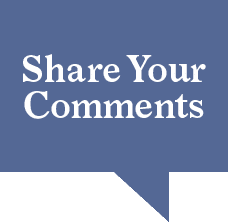 It is a place where you really feel part of the chef’s magic. 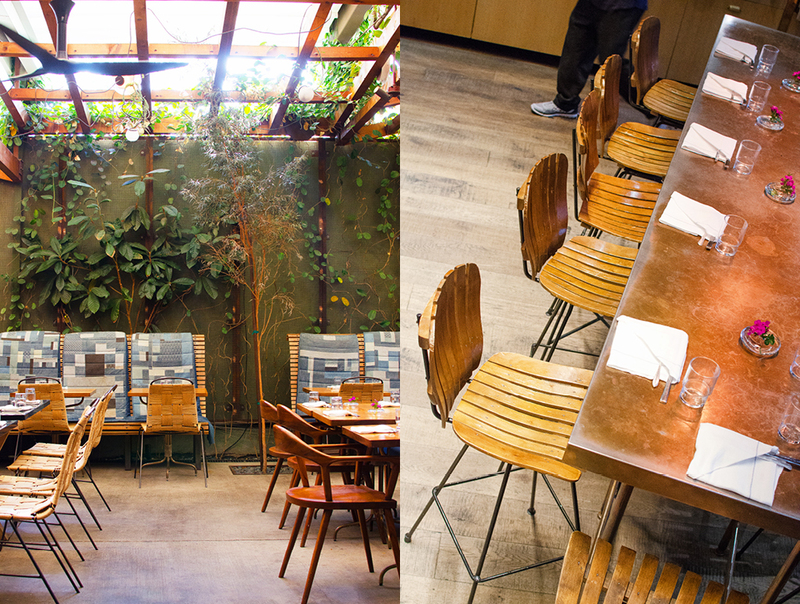 The dining patio brings the outdoors in, quite a feat in the middle of Century City, creating a laid-back atmosphere. 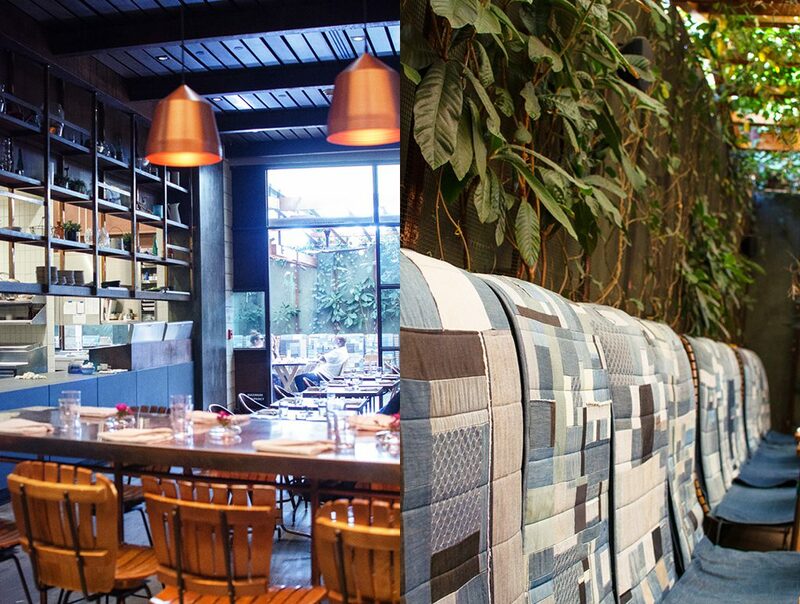 The Japanese-inspired recycled denim seating is a nice counterpoint to all the wood and copper. 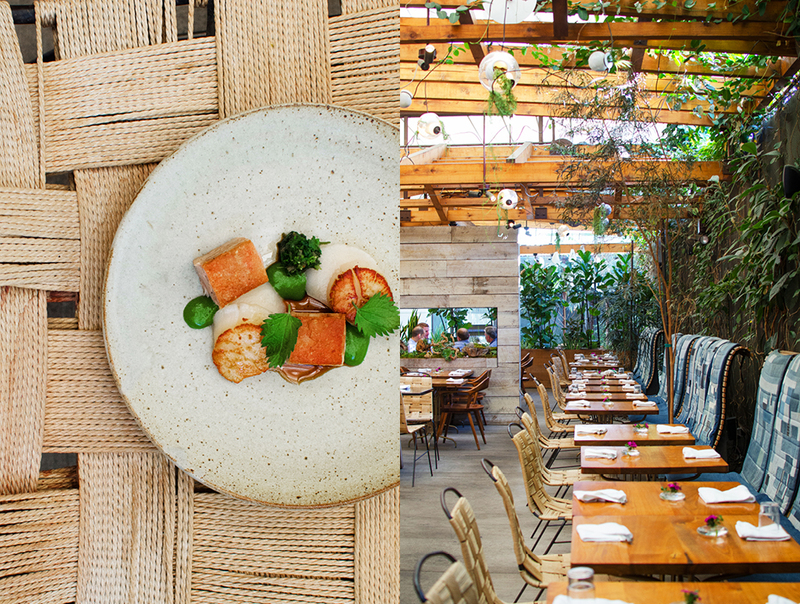 With the current collection of Century City restaurants on offer, local diners are fortunate that Hinoki & the Bird alit in their neighborhood. 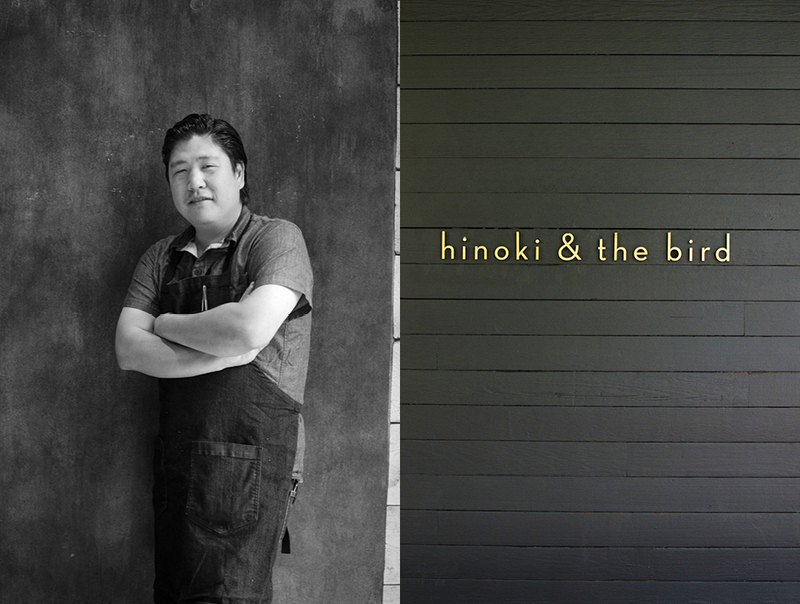 Hinoki & the Bird stands out as a true purveyor of farm-to-table cuisine right in the heart of LA. 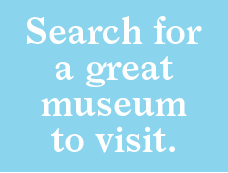 Planning a night out in Los Angeles? Here is the current weather and what to expect for the next few days.